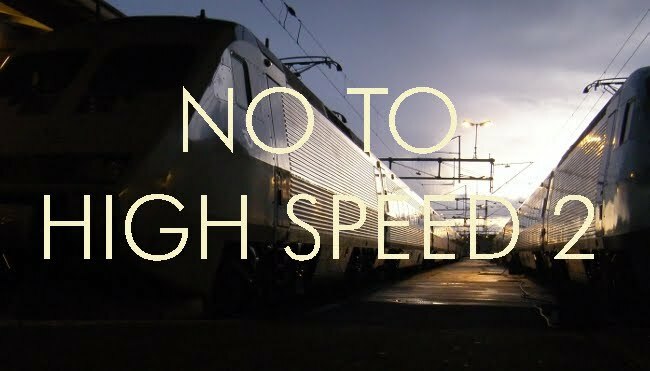 No to High Speed 2: Trams are good value for money? Or are they? "Trams are very expensive to install, especially on UK streets. Where ever the track goes, the road has to be dug up and all the services (water, gas, elec, phone) have to be moved 50ft to one one side. For miles." You are talking about on-street trams. Outside the city centres, most of the mileage of tramways in many European cities is off-street anyway, the same goes for Manchester and Croydon. The expense of renewing services for on-street tramways must be compared with the alternative of underground railways. Buses can only carry a limited volume of traffic before they become inefficient and cause environmental problems of their own. Cities need tracked electric transport if they are go grow beyond a certain point and still flourish. Stockholm, with a metro, has also supplemented it with a new tramway, the first section of which opened last month. Many British cities have had, or will soon have, their underground services renewed anyway. If a decision is made to relocate them on the assumption that there might be trams in the future, the additional cost is minimal. Had this decision been made ten years ago in Brighton, for instance, the streets would now have been tram-ready. It is a matter of planning ahead. It is also the case that many British cities had extensive tramway systems until the 1950s and the services may still be mostly in the right place. Until the information is obtained and collated, nothing can be said with certainty. In the Edinburgh case, it has been remarked that the utility companies have taken everyone for a ride and got their old pipes and cables renewed at the taxpayers' expense. I don't know how true this is, but it does not sound entirely slanderous. Most services that run in the road need to be replaced once a century if not more. Ready access is not required. The gas main will probably never be replaced. The telephone runs under the pavement. Broken services will close down a road what ever happens. I wouldn't have thought Trams exert a greater weight on the road than existing HGVs. what is the best alignment of tram tracks? Gutter running is great for loading and unloading passengers but makes it impossible to make deliveries to addresses along the road. Crown running lets you make deliveries but forces passengers to wander in the road. midway between the two? The preferable alignment may change between the time the services are done and the time the tramway is laid. and the cost of employing someone to work this out. There is a question of how your build your tramway, If it were up to me it should be relatively easy to disassemble so that it can be replaced when worn out or that things running under it can be got at in an emergency. and it should be possible to do reverse running(ie lots of points) should one track need to be dug up.